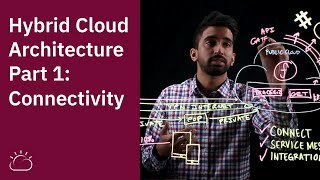 In this first part of our series on hybrid cloud architecture, Sai Vennam is going to deep dive into Connectivity. There are 3 major parts: 1) connecting private an public cloud environments, 2) service mesh for service-to-service communication, and 3) integration tools. All in only 13 minutes! IBM Cloud Private is now available in version 3.1.2.